This classic New Hampshire home will make you plan a vacation up here several times a year. In the warmer weather, there is close access to a beautiful beach on White Lake. Enjoy 'motor-boat free' swimming or take a kayak,canoe or paddle boat for a quiet tour of the lake. Amazing views of Mt Chocorua make the beach even better. In the winter, hop on your snowmobile and have direct access to Corridor 19, which you can ride on for days! Just 15-20 minutes to Mt Cranmore and King Pine Ski Resorts for skiing and tubing. Back to the house-this open concept newly renovated home is ideal for entertaining. 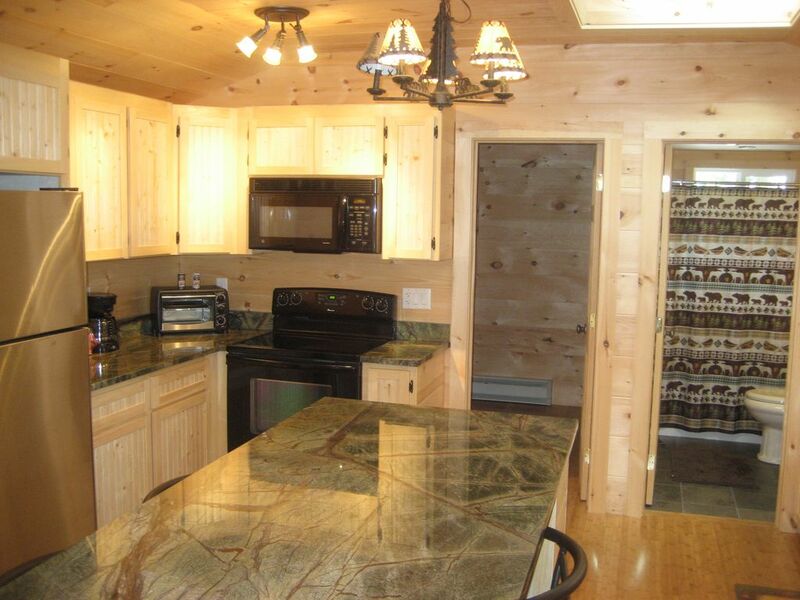 Fully equipped kitchen, living room with wood stove and a sun room. There are two good sized bedrooms and a bunk room. There is one full bath with tub. This house has so much to offer. Centerally located to many attractions in the White Mountains. 15 minutes to North Conway, 20 minutes to Lake Winnipesukee, and 10 minutes to Lake Ossipee. Location:The house is located in Tamworth NH. Outside: there is a gas grill, nice size yard and plenty of parking. Amenity: Queen, King and twin bunk beds. Enjoy the beautiful white mountains and swim in one of the best lakes in the White Mountain Region. 5 minute walk to the White Lake beach equipped with bathroom facilities with running water, a new park for children, lifeguards, boat/kayak/canoe/paddle boat rentals and a snack bar.